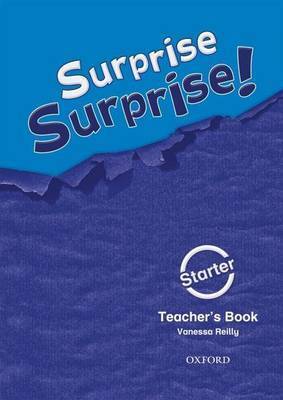 Add excitement to your lessons and captivate your class with Surprise Surprise!. With three units per level, Surprise Surprise! is the ideal course for students who are just starting English. The fun `surprise' packages from Uncle Harry, and mysterious locked chests in the attic, capture students' imaginations and motivate them to learn. And, the beautifully illustrated stories, from a wide range of genres, have been carefully selected to entertain and interest every pupil in your class.